Last week I was invited to a bridal shower for two sisters that are getting married a month apart this summer, and I wanted to come up with a really fun gift for them. I thought they would be ones that would love the mason jars as much as I do, and I decided that I would make them each a mason jar drinking glass set, using the very box that they came in!!! SO fun!!! This is an incredibly easy gift to put together, and it turns out SO SO cute! 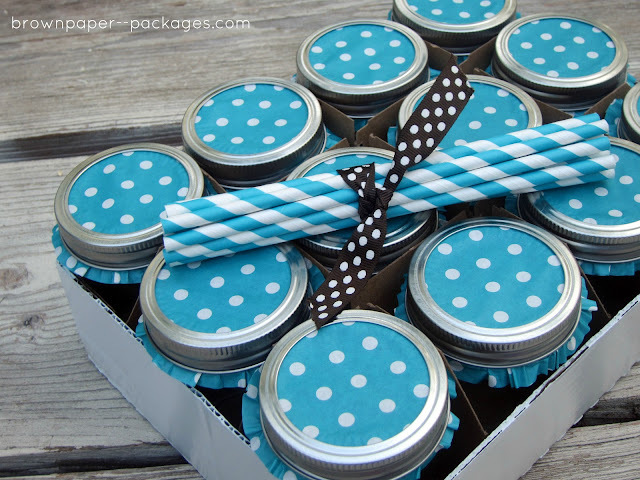 It will be a hit with whomever you give it to, whether it’s for a wedding, housewarming, birthday, Christmas…anytime! It’s also very cost-effective–I made each set for less than $10!!! 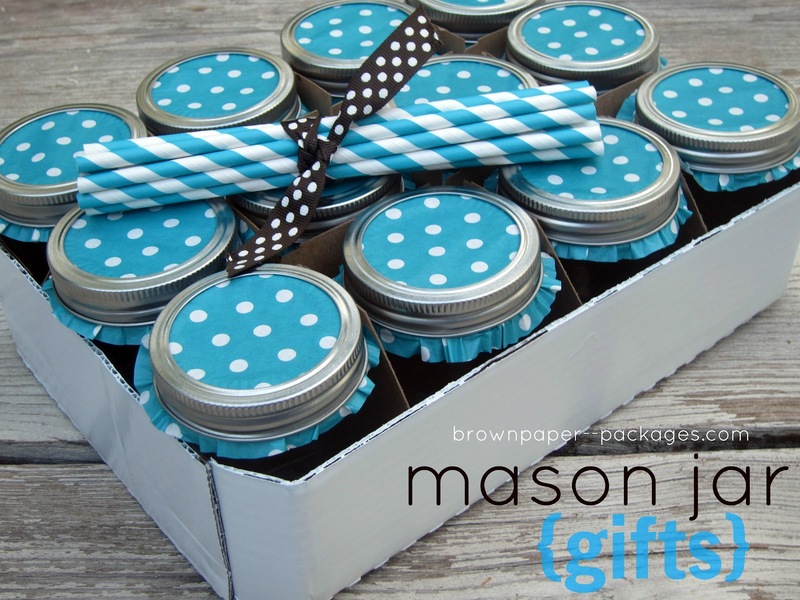 Even though you can buy special mason jars, you can also buy them at any store that sells canning goods, and they work just as well. 1. 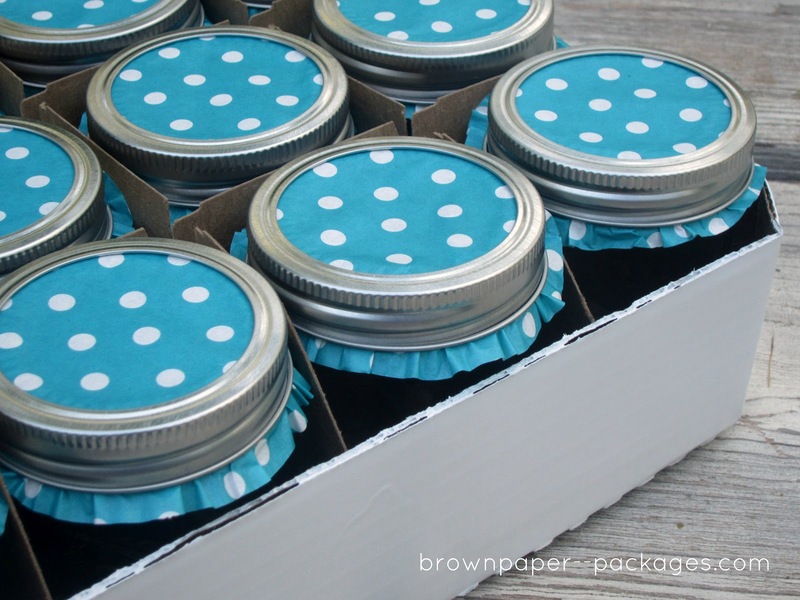 Remove the mason jars and cardboard separator from the box, setting them aside for future use. 2. Turn your box upside down, and spray paint it the color of your choice. I used a semi-gloss white by Rustoleum. Let dry completely. 3. 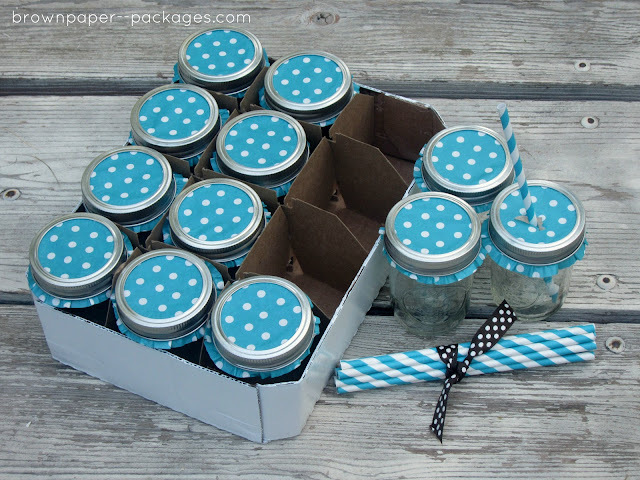 While the paint is drying, remove the lids and rings from the mason jars. 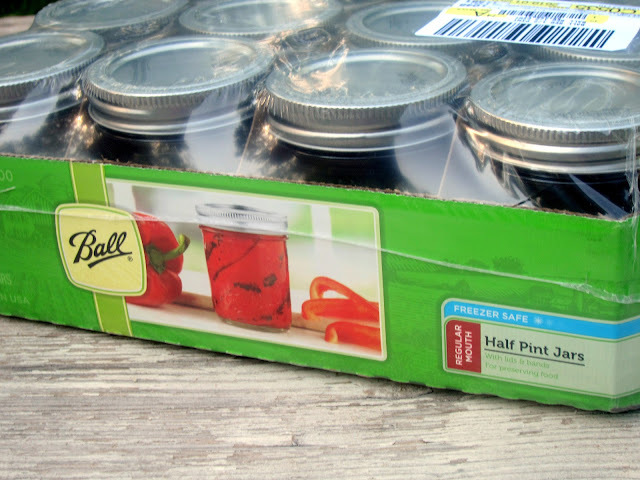 Set the lids aside–you won’t be using them. Take a cupcake liner, flatten it out a little with your hand (this helps you to center it on the jar), place it on top of the jar, then screw the ring back on. It leaves the cutest little ruffle right under the ring—I love it! I found my cupcake liners at Michael’s—polka dots are my favorite, and they have quite a few colors to choose from. 4. Place the cardboard separator back into the box, then add the mason jars back in. I tied a set of paper straws together with a piece of ribbon for the finishing touch! You can find paper straws all over online right now, and you can usually get 25 of them (which would make two sets) for around $4 or so. 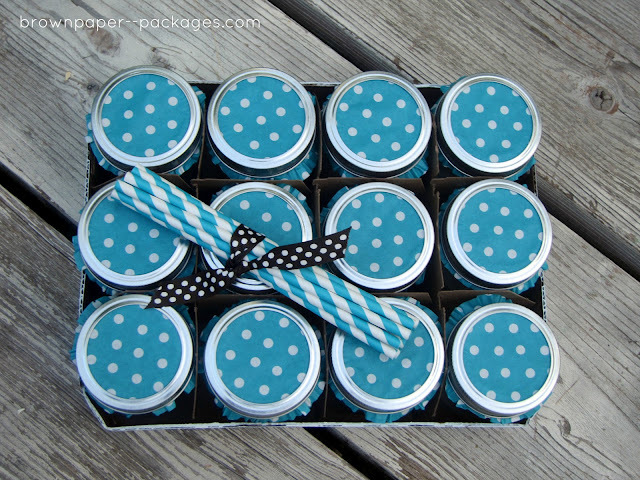 I love this gift, because the recipient can easily replace the cupcake liners and use them time and time again. 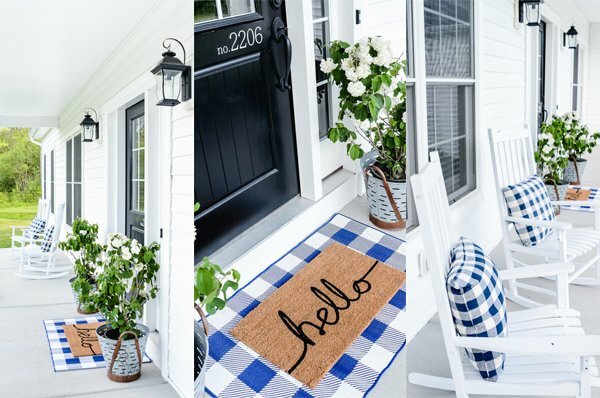 How fun to theme these for holidays, seasons, game days, and more! LOVE this!!! Who wouldn’t want such a fun gift??! !